It's even less easy being green when a popular morning show downgrades you from a world-famous frog to a "tea lizard." Brands are getting in on Tea Lizard Mania, which hit social media on Tuesday morning after Good Morning America coined the term while referencing the popular meme of Kermit the Frog drinking Lipton tea. The morning show asked if a picture of LeBron James crying after his Cleveland Cavaliers won the NBA Finals on Sunday night has the potential to reach the heights of other legendary memes, such as the one featuring Kermit, also known as the "but that’s none of my business" meme. 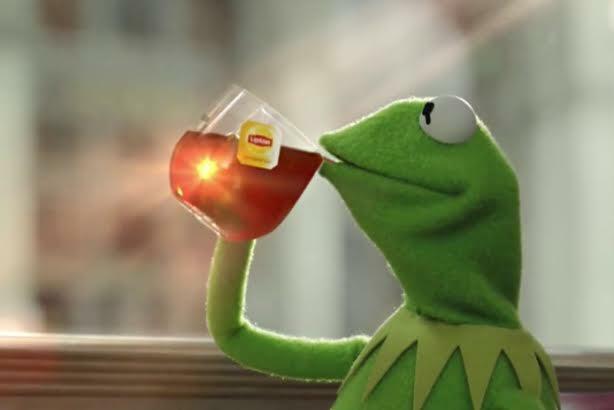 The internet, of course, went bonkers over the suggestion that Kermit is just another tea-drinking reptile. When PRWeek contacted ABC to find out the story behind the tweet, a representative deferred to a Mediaite report that said Good Morning America mistakenly called Kermit a lizard. Meanwhile, some social media users are convinced it is a well-executed publicity stunt. After all, Disney, the parent company of the Muppets, also owns ABC. Various brands also decided to get in on the fun. why did seven teens just come in dressed as lizards and only order tea?? This story was updated on June 21 with comment from Kermit the Frog.